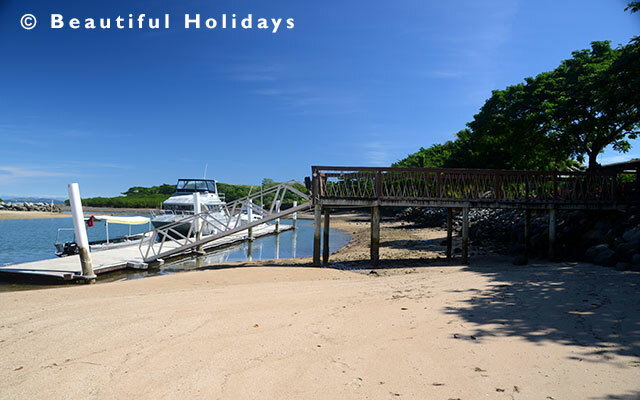 Anchorage Beach Resort Fiji is built on a hillside amongst seven acres of landscaped gardens with stunning views of the ocean and the Sabeto Mountain Range. Whilst this boutique hotel fronts a sandy beach, the ocean offers neither good swimming nor snorkelling. 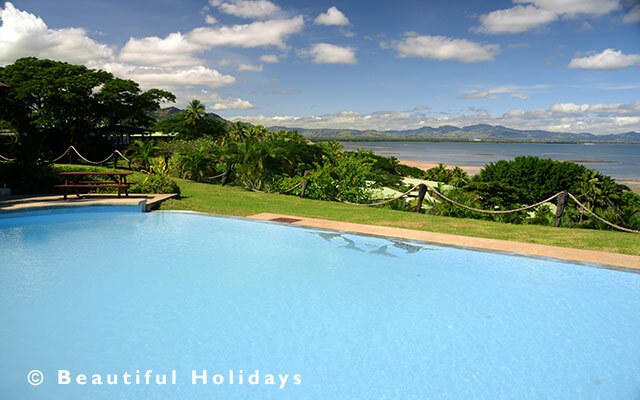 However, this is an peaceful base just 15-minutes from Nadi Airport and with a lovely swimming pool. During the harvesting season (June to November) sugar cane trains pass between the resort and the beach at any time, day or night. 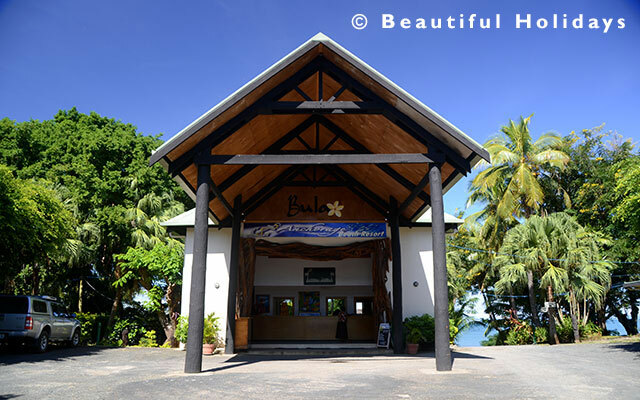 The Beachside Spa Suites have high ceiling and spacious duplex bungalows ( 1 bungalow houses 2 suites) are located in a staggered line extending down the hillside towards the beach. Each suite has a private balcony with jacuzzi and view of the ocean. Each suite is equipped with fine hard wood furniture and has a spacious bathroom with shower and bath, air conditioning and ceiling fans, refrigerator tea and coffee making facilities, telephone and Sky TV.